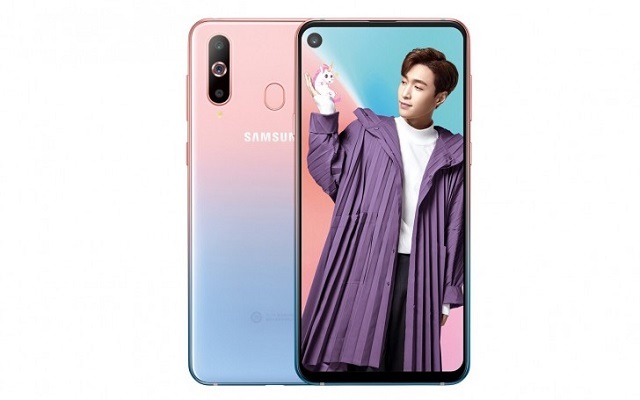 To make this Valentine’s day more special, Samsung has launched unicorn pink Galaxy A8s variant. The phone is nothing new but a new color variant. The remaining specs of the phone are the same as of regular version. Unicorn pink is a gradient from pink to blue. Previously Samsung has also launched Galaxy A8s Female Edition that came in pink and gold gradient color. Samsung Galaxy A8s has a 6.4-inch display. It comes with a full-HD+ resolution and a 19.5:9 aspect ratio. The Samsung Galaxy A8s launches with Qualcomm Snapdragon 710 SoC. Moreover, the phone comes in two memory variants. People can get either 6GB or 8GB of RAM. Furthermore, internal storage is 128GB. Users can also expand the memory up to 512 GB by using a microSD card. For photography lovers, the phone comes with triple cameras at back, including 24-megapixel, 5-megapixel, and 10-megapixel. You will find a 24-megapixel in a display hole and the size of the hole is 6.7mm. As for the front-facing camera, it has 24MP with a f/2.0 aperture. The Samsung Galaxy A8s measures 159.11×74.88×7.38mm. The phone carries a 3,400 mAh battery with adaptive fast charging support over USB-C and runs on Android 8.1 Oreo out of the box with Samsung’s UI on best.